COMPUTEX 2013 — TAIPEI, Taiwan — June 4, 2013 — Corsair, a worldwide designer of high-perform­­­­­­ance components to the PC hardware market, today announced the Corsair Vengeance Pro Series of high-performance DDR3 computer memory for PC overclockers, enthusiasts, and system builders. 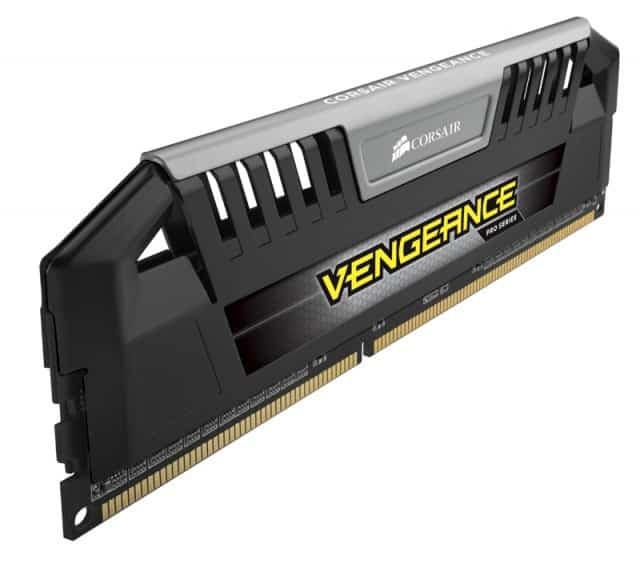 Available initially in capacities up to 64GB and speeds up to 2933MHz, the Vengeance Pro Series memory modules are designed to set new levels of value and overclocking performance with the 4th generation Intel® Core™ processor family (codenamed Haswell) and previous generation Intel and AMD platforms. These kits will be expensive, but as Corsair states the quality should be higher than typical memory with the eight-layer PCBs and ICs selected specifically with overclocking in mind. Hopefully we’ll be able to test drive some Vengeance Pro Series memory to see if meets our Overclockers.com performance standards. Looks much better than the 1st gen of Vengeance. It could be in low heatsink version but I bet it will be released in time. I have a failed understanding here. My Z77 board claims to be able to handle ram up to 3000Mhz, why does it say i need a Haswell to be able to run close to the 3000mhz with this ram? Z77 boards can make up to ~3200 but CPU's memory controller probably won't pass 2800 on air/water. Most IB will make stable DDR3-2600 while Haswell can make 2900+. That's why these kits are marked as designed for Haswell.